May 13, 2015: Simcoe Special Olympics Received $15,400! Pictured above are Michelle Grummett, Deana Hill who presented on behalf of Simcoe Special Olympics, Beth Redden and Sue Goble. February 11, 2015: CAS Fresh Air Fund received $15,100 which will be used to send 50 Norfolk children to summer camp. $15,100 was presented to the CAS on February 27, 2015. 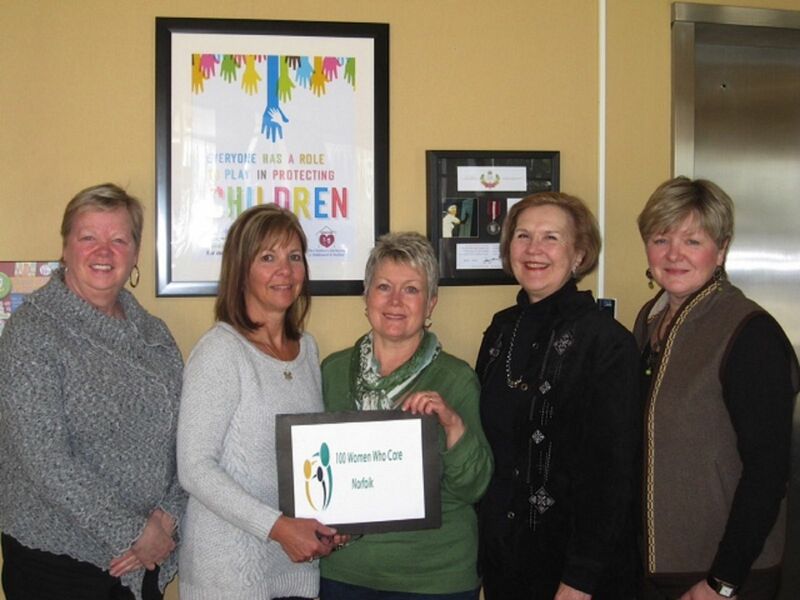 Pictured above are Beth Redden (100 Women Who Care Norfolk Co-founder), Shari Gardener (Executive Assistance & Public Relations Coordinator for The Children’s Aid Society of Haldimand & Norfolk), Shelley Walker-Shoff who presented on behalf of the Fresh Air Fund, Sue Goble and Michelle Grummett (100 Women Who Care Norfolk Co-founders). On February 11, 2015, the CAS Fresh Air Fund was the successful recipient. Pictured above are Sue Goble (organizer), Shelley Walker-Shoff who presented on behalf of the CAS Fresh Air Fund, Beth Redden (organizer). 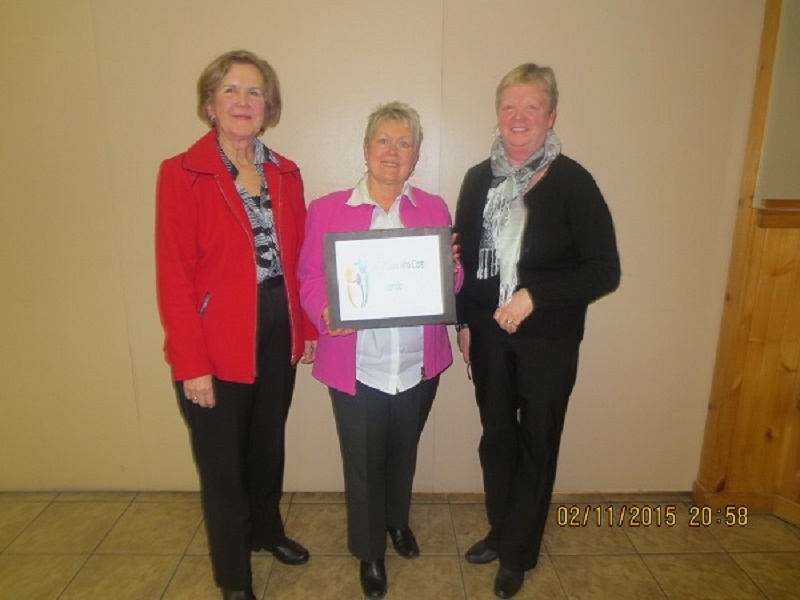 At the November 12, 2014 meeting, The Salvation Army Community Services was the recipient of $14,400. Pictured above are Beth Redden, Michelle Grummett, Jill Chuli who presented on behalf of The Salvation Army Community Services and Sue Goble. 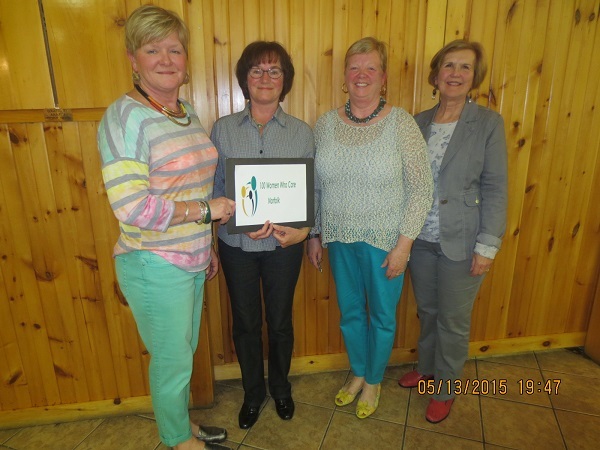 Following the meeting on August 13, $13,900 was presented to key representatives of St. Vincent De Paul. 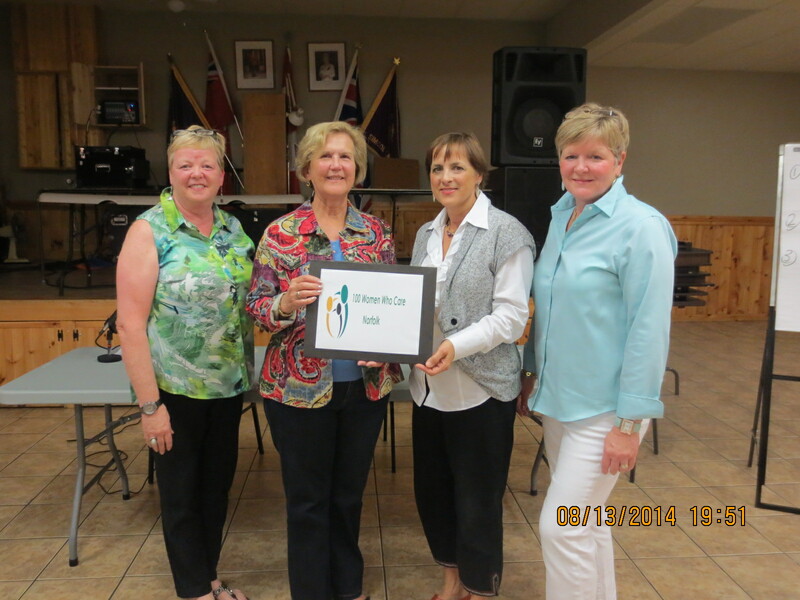 August 13, 2014: Presentation of $13,900 to Linda Boll who nominated and presented on St. Vincent de Paul's behalf. 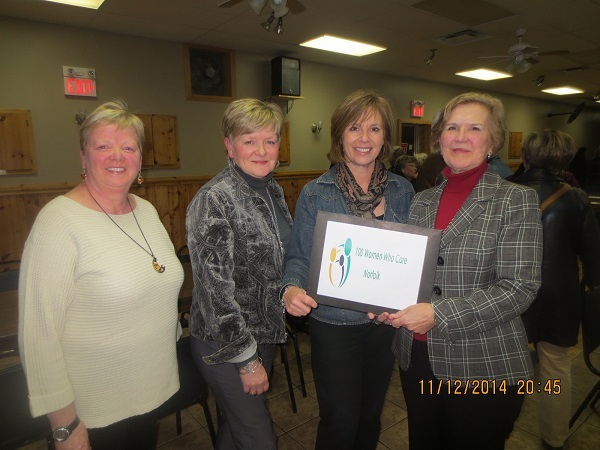 Pictured from left to right: Beth Redden (organizer), Sue Goble (organizer), Linda Boll and Michelle Grummett (organizer). 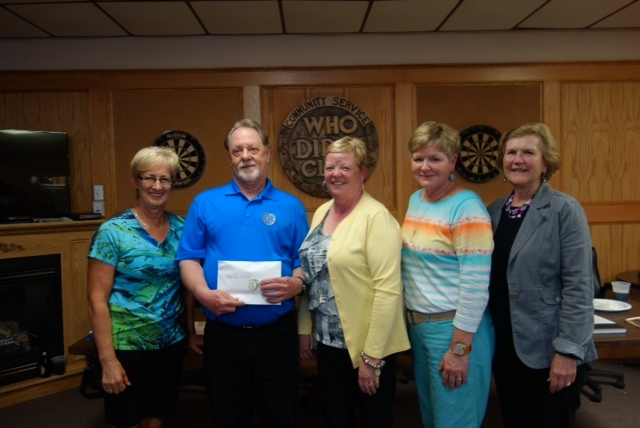 May 28, 2014: Presentation of $11,800 to the Who Did It Club. 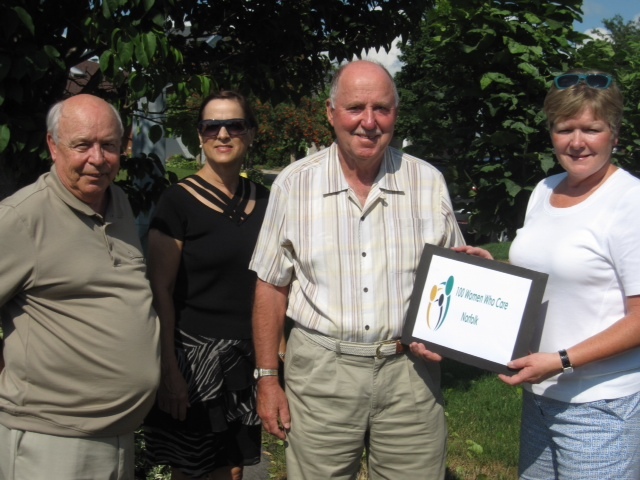 From left to right: Cathy Rusling, Member who made the nomination; Ian Madge, President of Who Did It Club; Beth Redden, organizer; Michelle Grummett, organizer; Sue Goble, organizer.